Teosyal is an Injectable filler that is available in 5 varieties for use in different areas of the face. 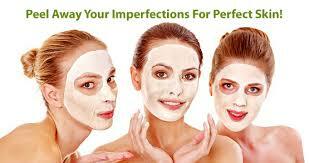 At Lasting Looks Clinic in Toronto we are one of the top providers of Teosyal in Toronto. 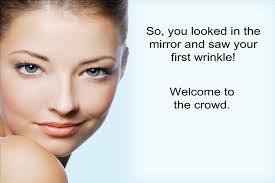 Teosyal is a range of wrinkle filling products that are 100% non-animal based resorbable Hyaluronic acid injectables. Teosyal can last anywhere from 6 months to 2 years depending on the type used and placement of the product. Teosyal at Lasting Looks Clinic in Toronto can plump your lips, fill a wrinkle, add volume to your face and promote deep hydration to your skin. 99% of patients who have used Teosyal Filler would be prepared to be re-injected with Teosyal again. Teosyal Kiss with its smooth consistency creates a soft natural and long lasting result. Teosyal Kiss can be used to correct uneven or crooked lips as well as rejuvenating the lips and making them look younger and less lined. Teosyal Kiss at Lasting Looks Clinic in Toronto will give you an immediate result and you will have the lips you have longed for. Teosyal Kiss is used at Lasting Looks Clinic in Toronto as lip filler. This means that by injecting the lip and correctly placing Teosyal Kiss we can augment your lips and make them fuller and more defined. Teosyal Redensity has been specially formulated to treat under eye circles. Whether the eye circles are caused by fatigue, heredity or lifestyle Teosyal Redensity Eyes can give you an immediate visible result in the eye area that can last an average of 12 months. In one Redensity Eyes treatment at Lasting Looks Clinic Toronto we can create a less tired and more hydrated look to your eyes with less dark under eye circles. Teosyal Redensity Eyes is available at Lasting Looks Clinic in Toronto. Lasting Looks Clinic in Toronto uses Teosyal Ultra Deep to gently re-sculpt or remodel the cheek area, add volume to the cheekbones, chin and fullness to facial contours. Teosyal UltraDeep is also used to fill deep grooves and wrinkles on thicker skin types as it has the density required for volume lifting and filling. Like all of the Teosyal injectable fillers it is comprised of 100% Hyaluronic acid, which can last up to 2 years in the area of injection. Teosyal Global is used at Lasting Looks in Toronto to treat linear facial wrinkles, slight naso-labial folds and lines around the mouth. As with all Teosyal injectable products the dermal injection is quite painless as Teosyal contains Lidocaine -the most commonly used local anesthetic in the world. Upon the initial injection the area being treated is slightly numb and therefore you don’t feel any discomfort your Teosyal treatment at Lasting Looks Clinic in Toronto. 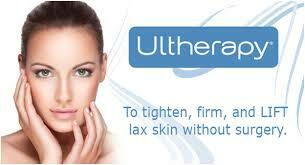 Teosyal has a new treatment available at Lasting Looks Clinic in Toronto it is Teosyal Ultimate. Teosyal Ultimate is a unique volumizing injectable product, which is used to restore volume in wide areas of the face. 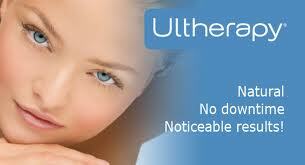 With its 3ml size Teosyal Ultimate can cover a much larger area of the face with one treatment. At Lasting Looks Clinic in Toronto we have been using Teosyal Ultimate on our patients for larger volume filling since its launch with great success and client satisfaction. Laser Hair Removal gets rid of hair for good, giving you a long-lasting, even permanent result. In only a few treatments (We recommend six to eight to get clearance) Lasting Looks Clinic in Toronto can clear your skin of the unwanted hair that has bothered you for so long. Traditional Laser Hair Removal methods, such as waxing, shaving, depilatory creams, plucking/tweezing, sugaring, and stringing provide only temporary results — some for fewer than 24 hours. Within hours or possibly days, you are back at it again, hunched over a magnifying mirror to tweeze out facial hair, running a razor over tender skin, or enduring painful waxing. To make it worse, these methods can often stimulate hair growth!